Having a hobby can help singles to find a date with others that they have something in common with. Once out of school and into the adult world, it can seem to be difficult to get out there and meet new people. Through hobbies and activities, you will not only be having fun while doing it, but you may also meet other singles that enjoy the same things as you do. While preferred hobbies may vary from person to person depending on their interests, these popular ones are sure-fire ways to have fun and hopefully find a date. Many local gyms may offer exercise classes that welcome both gender. This could be anything from yoga and Pilates to kick boxing and other high intensity courses. If getting into shape is important to you and you prefer to date someone who also takes care of their body, finding a date at the gym is a great place to start looking. Exercise is one of the greatest hobbies that two individuals can have in common. This opens up a whole new realm of possibilities for a first date. After meeting someone at the gym, suggest going horseback riding, hiking, golfing and even canoeing. These heart-healthy hobbies help you to stay in shape while providing a little alone time for you and your date to get to know each other. This one common interest can lead to multiple conversations and finding new and exciting things that you have in common. Although everyone may not look their best while exercising, it allows others to see who you really are and what you truly enjoy doing. Coin collecting is one of the most popular hobbies in the world. Because there are so many different and unique coins out there, individuals may take interest in collecting them to show at different events. While the act of collecting coins may not guarantee you a date, attending collectible coin shows will. Coin shows are the perfect place to meet singles that enjoy the same interest that you have. Chatting about different coins is also the perfect ice breaker conversation starter. Show your coins off to others and browse through others collections to meet singles in your area. After planning a first date and getting to know each other, you may even be able to help one another in collecting and making a profit from your variety of coins. Although you may not have the perfect vehicle to show at an antique car show, it is a great place to browse around and meet singles. If you love looking at and admiring early vehicles that are in pristine condition, make a hobby out of visiting shows that are held on a regular basis. This also gives people the opportunity to start a conversation by asking questions about their car and going from there. After showing up to several events, regulars may start to notice you and gain your interest. You may even get picked up for your first date in a classic car. Metal-detecting along the beach will gives others the perfect opportunity to strike up a conversation with you. Share stories about your findings with singles that approach you along the waters edge. This is a fun and exciting hobby where you will truly find buried treasure and may even land a date. Making a date out of metal-detecting can also be lots of fun and gives singles time to chat while enjoying a beautiful walk along the beach. 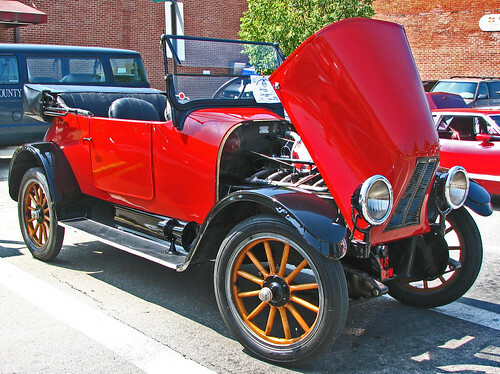 Aaron Miller is an antique car enthusiast and guest author at WebsiteHostReview.com, a site with guides to the best small business web hosting.